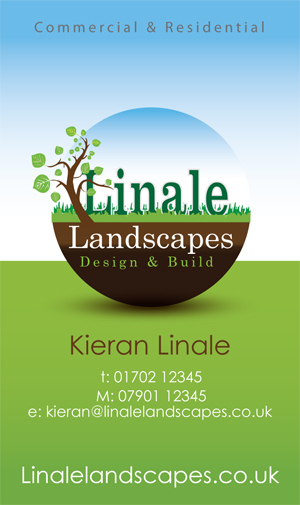 Logo design and business card design. To produce a logo that incorporated a plumb bob that was sleek and modern. Linear Homes are custom home builders building houses in and around Calgary and the Foothills of Alberta. 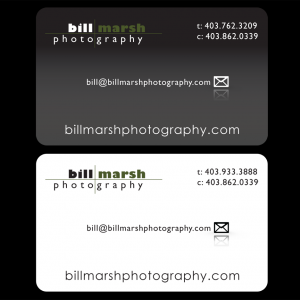 To produce a logo that was bright and earthy and then incorporate it into a business card. Logo design, business card design. To create a logo and business card that incorperates the old feeling of London but with a modern twist to it. 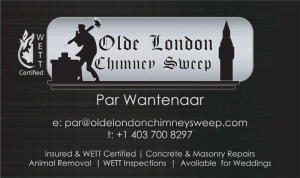 Olde London Chimney Sweep are insured & WETT certified chimney sweeps based in the Calgary area. 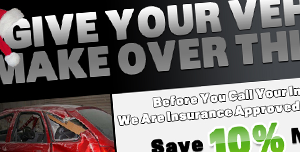 They specialize in the forementioned services as well as concrete & masonry repairs, animal removal, WETT inspections and can even frequent your wedding. This is an age old English tradition that comes about nearly 200 years ago when a London chimney sweeper saved the life of King George III. He proclaimed that all sweeps are good luck bearers and so to do this day its still to this day regarded as good luck for a sweep to attend a wedding and for the bride to receive a kiss from the sweep. 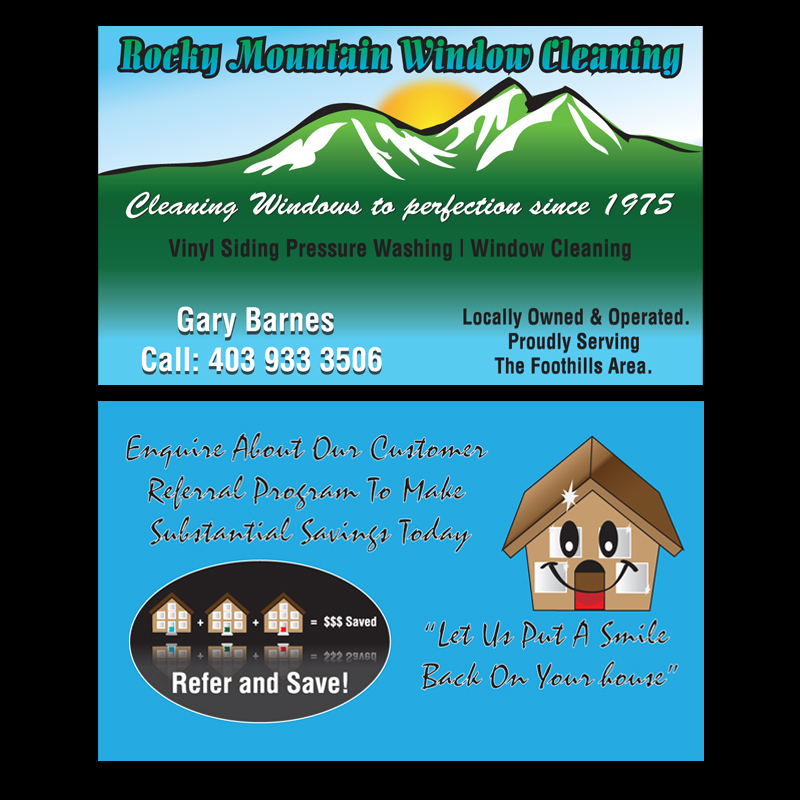 We ravamped their logo as part of another service we were providing. 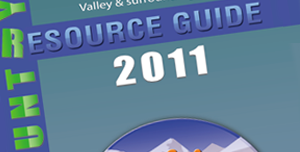 The Diamond Valley Family run takes place annually between Turner Valley and Black Diamond in the month of June. 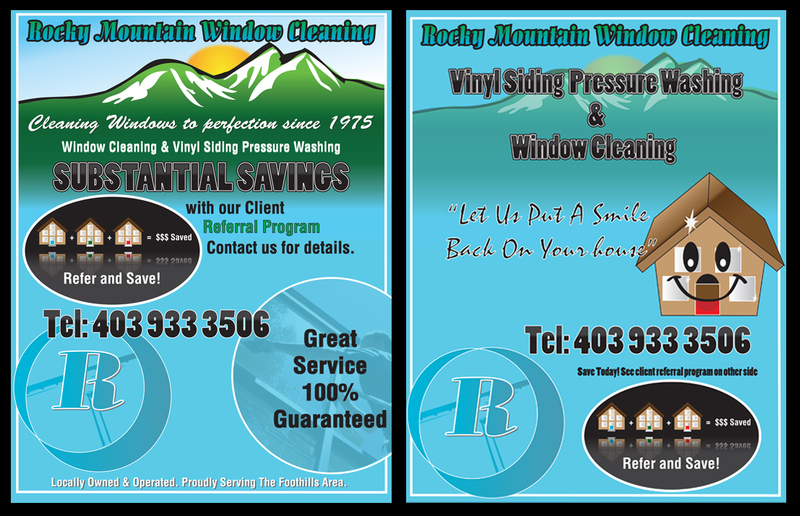 Project included the design of a booklet, post cards, stickers and window clings. To convert their word document booklet into an illustrator document for high quality print. We also included a front cover design as part of the package and designed and printed postcards, stickers and window clings. 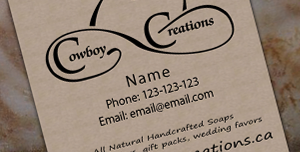 To produce two simple versions of a business card. One dark and one light. 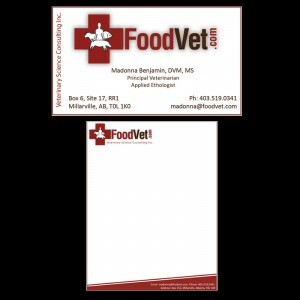 These were printed on 16 point card with rounded corners. 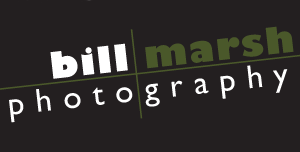 Bill Marsh shoots for clients like Harley Davidson, Powder magazine and National Geographic. He has been one of the official photographers for the Calgary Stampede for over ten years. 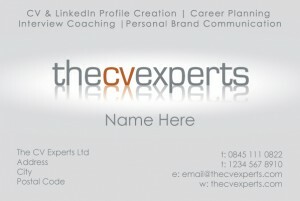 To produce a simple but effective business card design incorporating their existing logo. We spruced up their logo with a reflection and added a white glow around the text to enhance the reflection and make the text pop out. 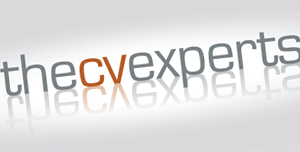 The CV Experts are experts in producing curriculum vitae’s. 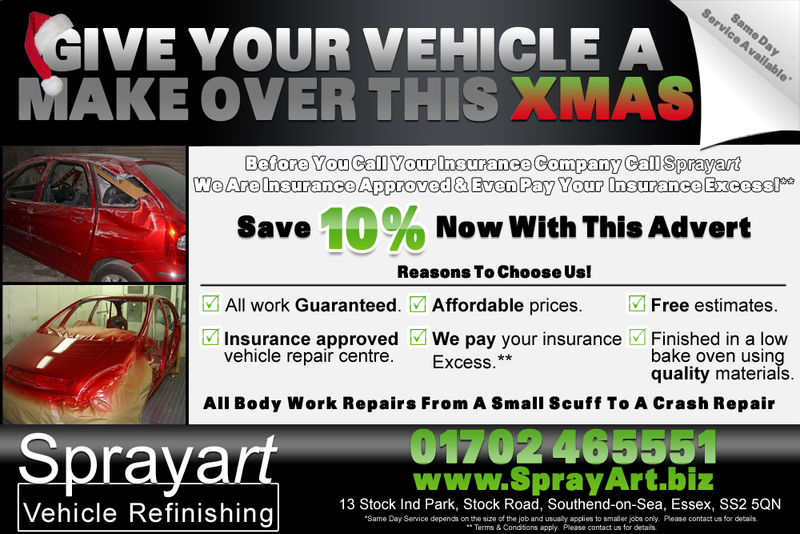 Advert for use in their Christmas advertising campaign. 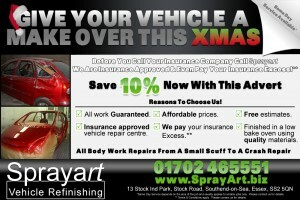 To design them an advert to go alongside the advert for Alloy Art (an existing company we do design work with). 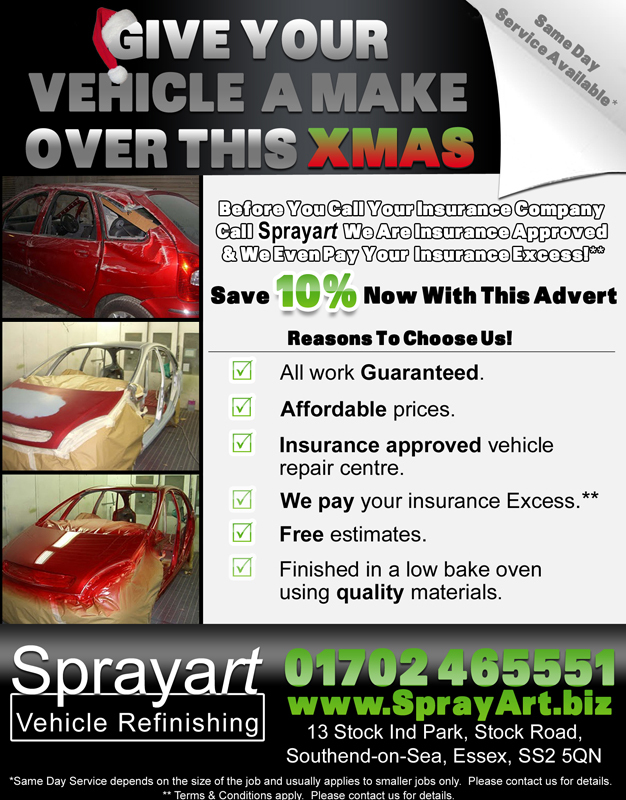 We redrew their logo as a vector in high resolution as they only had a low resolution version from their website available and then with some brief copy we moulded the advert into something that wasn’t just appealing on the eye but aimed at catching the attention of their target audience via the copy and the image placement. 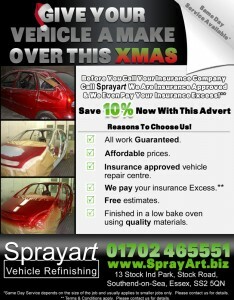 We produced two versions of the advert. One for a half page advert and one for a quarter page advert. 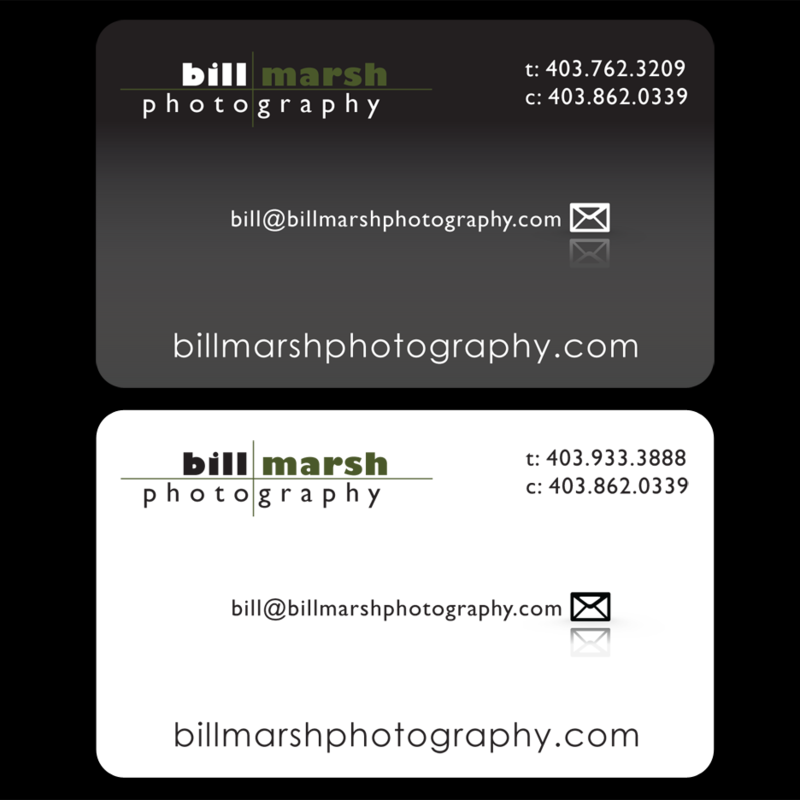 Design a business card and redraw their logo in vector format. 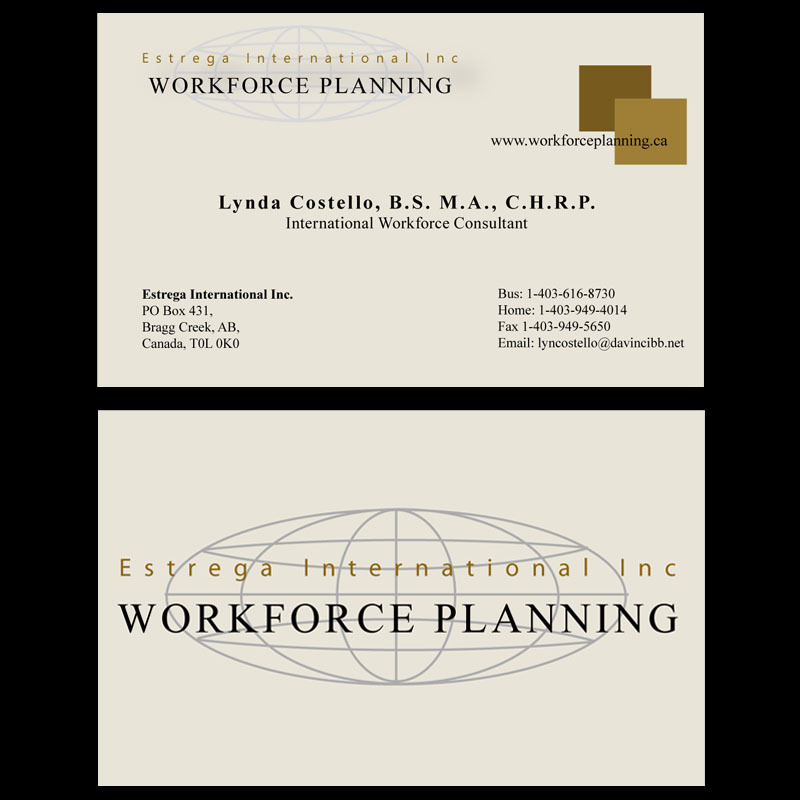 They had an exisiting logo but didnt have a hig resolution version of this so we redrew this and laid out a simplistic business card to their chosen colour scheme. 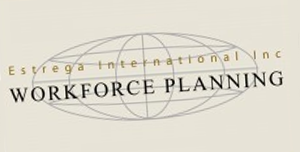 WorkForce Planning offer Contract and consulting services. 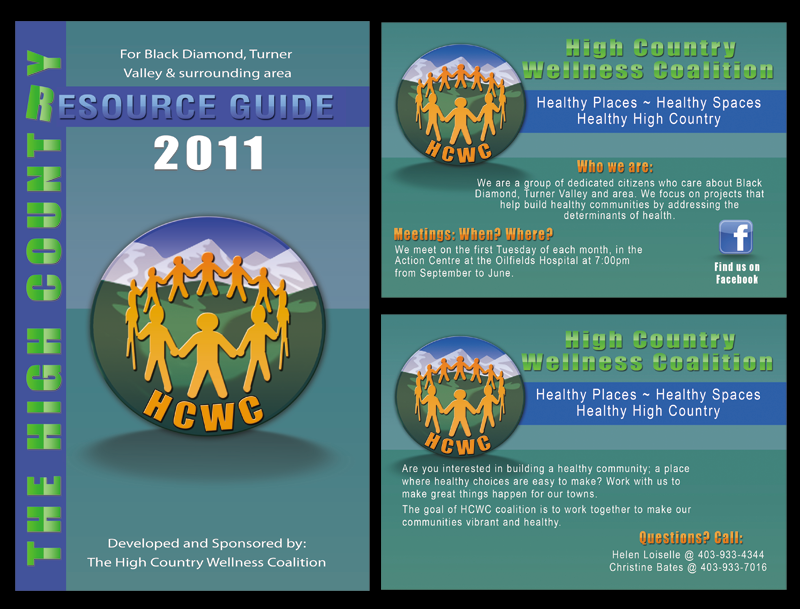 Logo design, business card design and flyer design. 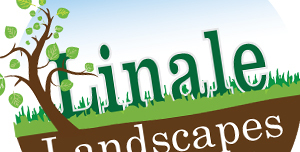 To design a logo that relates to the community and the area. 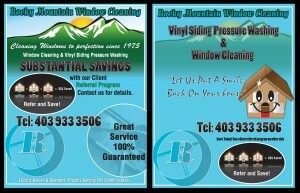 They didnt have a logo but required new business cards and a flyer for a promotional offer. Rocky Mountain Window Cleaning are based in Turner Valley, Alberta, Canada and provide pressure washing and window cleaning services to the Foothills area. 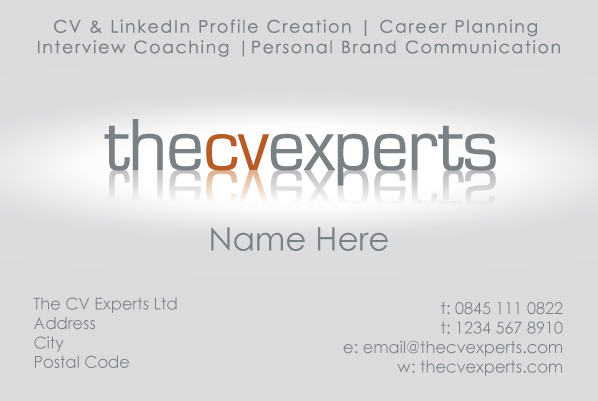 Logo design, business card design and letterhead design. 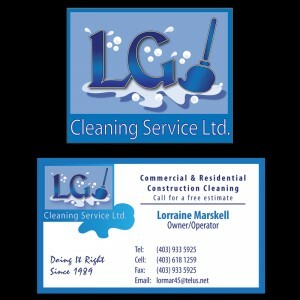 To revamp their existing logo and business card and give it a more modern cleaner look. LG Cleaning Services are a Commerical and Residential Construction Cleaning company serving Calry and its surrounding areas. 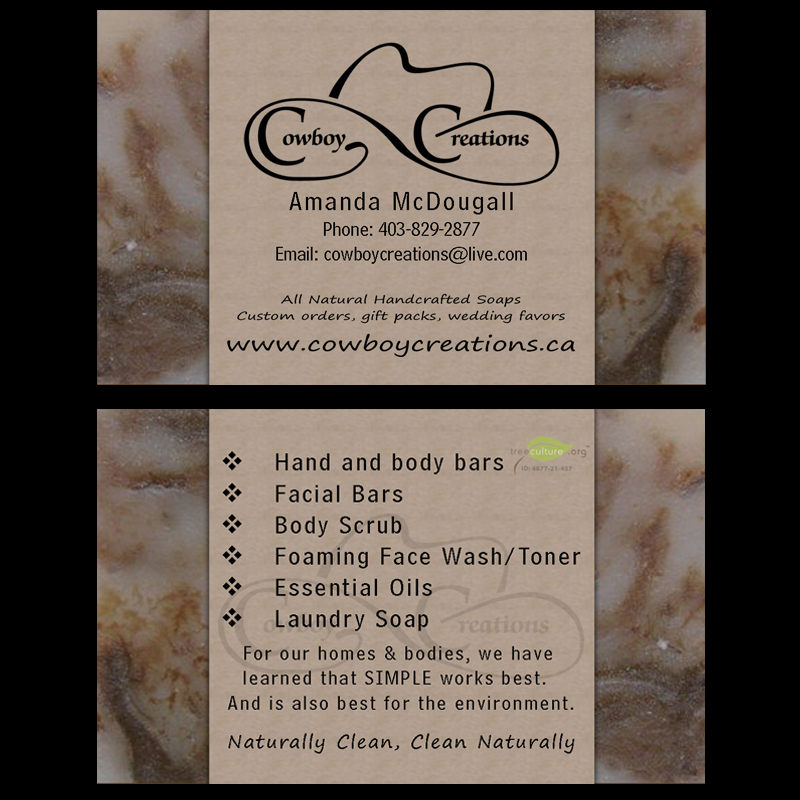 To produce a logo that resembled cave man drawings and then to produce a business card and letterhead to compliment it. Food Vet are based in Millarville and are a Veterinarian Science consulting company. 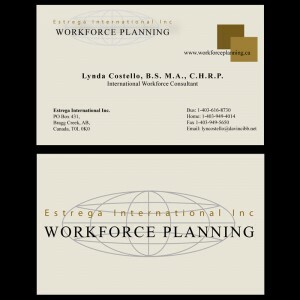 To produce a business card design incorporating their existing logo. The client gave us full freedom on the project. We decided to create the business card to resemble their product. 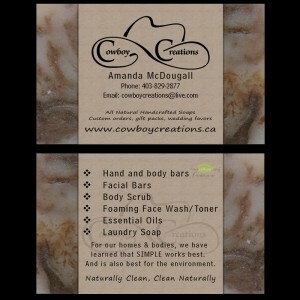 Cowboy Creations are manufacturers of soap based in Okotoks, Alberta, Canada. 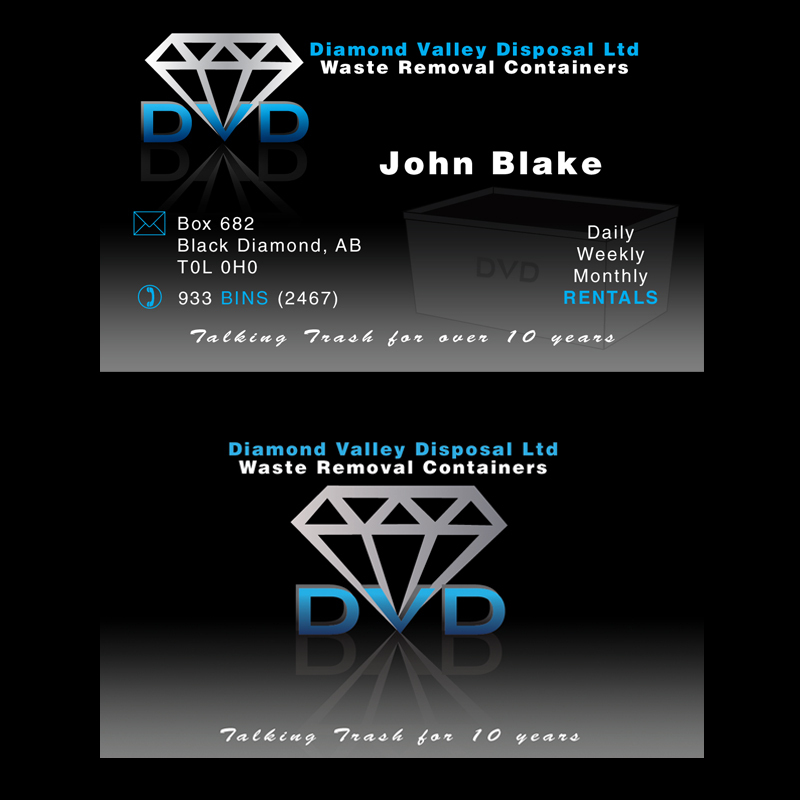 To produce New logo that incorporated a diamond and the words DVD and use this logo within a new design for a business card. 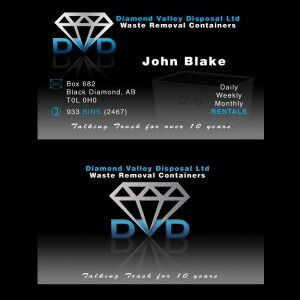 Diamond Valley Disposal are based in Black Diamond and deal in waste removal containers. To produce a logo that resembled the Stones from Stonehenge and text similar to German engravers text to give the logo a real European feel. 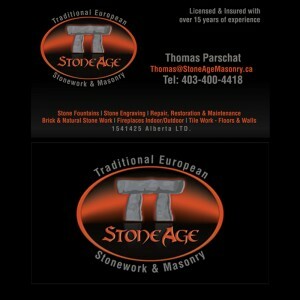 Stone Age Traditional European Stonework & Masonry are based in Black Diamond, Alberta, Canada.